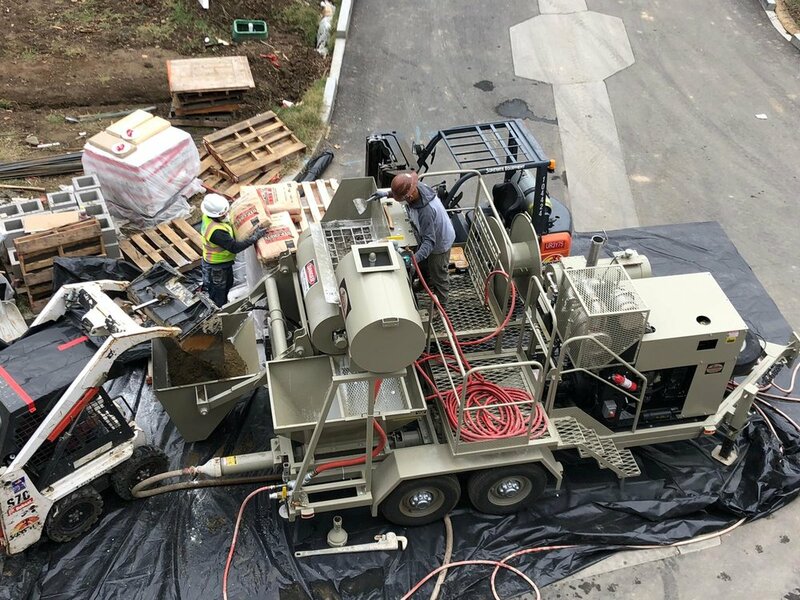 As the nations leading equipment manufacturer for mixing and pumping lightweight concrete, cellular concrete, insulating concrete, and floor underlayments, Strong Manufacturing has set the standard. For various jobs including lightweight roof deck systems, gypsum based floor underlayment, and manhole rehabilitation systems. Our systems have proven themselves in daily field use for over 50 years. Strong Mfg. is proud of the fact that some of our first customers are still some of our strongest supporters. No other equipment manufacturer can claim to have more actual in-field hours of use, or a more proven track record. We are committed to delivering affordable, reliable, and efficient systems to fulfill our customers' needs. Strong Manufacturing also keeps an extensive inventory which allows us to ship most parts the SAME DAY! We are big enough to satisfy all of your needs, and small enough to care. Being family owned and operated since opening in 1964, we are committed to our customers. All of our customers are considered part of the Strong family upon every new machine purchase. Strong Manufacturing strives to design and build the ideal solution for each of our customer's needs. Whether you need a mixer compact enough to fit in the bed of a small pickup, or a self contained machine to mix and pump 100 yards per hour. We have the experience, knowledge, and dedication to meet your needs. Introducing the all new F-80 cellular concrete in-line foamer. Check out the all new F-80 in-line cellular concrete pump. Paired with Aerix Industries Foam Generator this unit is sure to get the job done! Click here for more information on the all new re-designed Placer. No need to worry with tight work spaces with this Rear Skip Placer. Find out about Strong Manufacturing and what it takes to become Strong. Ready to take the next step? Submit your request for a formal quote today!